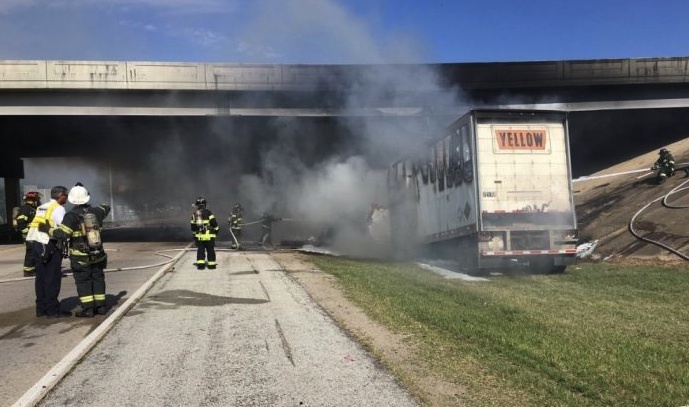 On Tuesday, an Arkansas truck driver tragically lost his life after his semi struck a concrete overpass structure and burst into flames. The driver has been identified as 57-year-old Jackie Becker of Jonesboro, AK. He was employed as a driver for YRC Worldwide and was on the job Tuesday morning, delivering a load of freight from Memphis and to Kansas City. At around 8:55 am, Becker was traveling northbound on Interstate 555 and was about to cross under the Harrisburg Road overpass when he swerved off the road to the right side and crashed into the concrete column. The truck immediately burst into flames, leaving no time for Becker to escape and no time for anyone to attempt to rescue him. Witnesses reported hearing the loud sound of explosions and saw thick clouds of billowing black smoke rising from the flames. By the time firefighters were finally able to get the fire contained, the tractor-trailer was destroyed and Becker was unfortunately found dead in the cab. 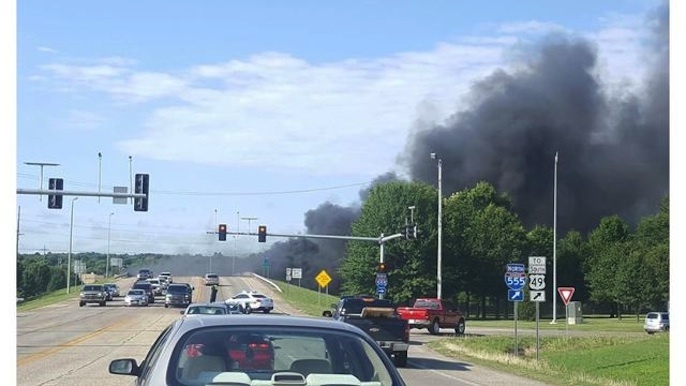 While investigators have not yet determined what exactly caused the initial crash or the ensuing fire, Jonesboro Police have confirmed that Becker was driving a tandem-trailer unit and was carrying general merchandise containing no hazardous materials. The section of the interstate was closed immediately and traffic has since been rerouted while bridge crews have been surveying the damage. On Wednesday, a spokesman for the Arkansas State Highway and Transportation Department confirmed that the bridge’s integrity was severely damaged by the incident and officials have ordered the overpass closed until further notice. “The fire and explosions were enough to wreak some havoc," said AHTD spokesman, Danny Straessle. “It left three steel beams with no support on the north segment of the overpass. The fourth column suffered spalling…a 25-foot concrete horizontal section above the columns also was damaged. The road sagged and the concrete cracked. It was possible a section of the overpass could have collapsed had traffic remained on it,” he explained. Straessle said workers will start repairs immediately by placing timbers on top of the damaged columns. The AHTD estimates that approximately 10,000 vehicles cross the bridge each day and they hope to have the initial repair work completed by the end of the week so that the two northbound lanes of the interstate can be re-opened. Oh my God! These guys pulling the doubles need to be respected! I pray that nothing suspicious caused this driver to lose his life! So sorry to see one of these guys get killed! I respect them and in most cases they have more behind the wheel driving miles than I have! Really sad!!! Sad Day we know not the hour or the day we go to our heavenly home. Praying for the family.Jeff T retired YRC driver in Louisiana. GOD BLESS THIS DRIVER AND HIS FAMILY, AND WATCH OVER ALL THE TRUCK DRIVERS AND KEEP THEM SAFE. I'll be a woman is in the equation.